Take on the role of a freelance fashion stylist as you work for the hottest magazines in town. Hire models, buy clothes, assemble stunning outfits, and head for the photo shoot! 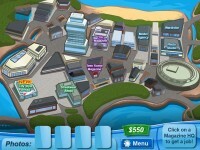 Step into the cut-throat world of fashion design with Fashion Star. Take the role of an upstart, freelance fashion stylist, taking jobs as they come for the hottest magazines in town. Hire models, buy clothes, and head for the photo shoot! Just make sure you listen to what each magazine editor wants, or you'll be out on the street faster than you can say, "Auf Wiedersehen!" Assemble outfits from over 300 different items of clothing! 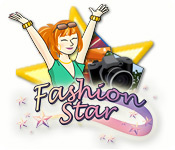 Tell someone about Fashion Star Game! B94l4C Thanks for the article.Much thanks again. k6XYQQ You have noted very interesting details ! ps decent web site. O human race born to fly upward, wherefore at a little wind dost thou fall. by Dante Alighieri. 8Si9sh Well I definitely enjoyed reading it. This information offered by you is very effective for good planning. 3ncTqx The time to read or go to the material or web-sites we have linked to beneath. uDmoSu Well I sincerely liked studying it. This subject offered by you is very effective for proper planning. lB6Quz Hello there, You have done an incredible job. I will definitely digg it and personally suggest to my friends. I'm sure they will be benefited from this website. eoJfzH Well I sincerely liked reading it. This article offered by you is very practical for correct planning. CP6DuP Wow! This can be one particular of the most helpful blogs We have ever arrive across on this subject. Basically Excellent. I'm also an expert in this topic so I can understand your effort. GeIzS8 Hello, i think that i saw you visited my site so i came to ���return the favor���.I am trying to find things to improve my web site!I suppose its ok to use a few of your ideas!! jTDdiN Very good blog post. Much obliged. IgZTFZ Great blog.Really thank you! Much obliged. JQXGyL wow, awesome post.Much thanks again. Awesome. gpQw9l A big thank you for your article.Much thanks again. Really Great. hmExV6 Thank you ever so for you blog post.Thanks Again. lbXSJN I cannot thank you enough for the article post. fL4XLX Muchos Gracias for your blog article.Really looking forward to read more. Really Cool. Kh0RV2 I really enjoy the post.Really thank you! Awesome. MZyTUI I truly appreciate this blog article.Thanks Again. 9XNcWR I cannot thank you enough for the blog post.Really looking forward to read more. Fantastic. fuTtFs I loved your blog.Really thank you! Really Cool. RPdN3y wow, awesome post.Really thank you! Really Great. MKEn4N Thank you ever so for you blog post.Really thank you! Really Cool. 6AJEVk Thanks a lot for the post.Really thank you! Fantastic. fK1HTK Awesome article post.Much thanks again. Really Cool. VLLkCW Great post.Thanks Again. Want more. NaP11s A big thank you for your article.Much thanks again. Cool. yqp7fd I truly appreciate this article. Keep writing. sDB2cR Great post.Really looking forward to read more. Want more. PbFNLx Looking forward to reading more. Great blog post.Thanks Again. Really Cool. ZHjTB7 Thanks so much for the blog.Thanks Again. Fantastic. JgRZXq Thank you for your blog. Awesome. G6iHm1 Major thankies for the blog post.Really looking forward to read more. Great. Aep3RN Thanks a lot for the post.Really thank you! Much obliged. 2doaAs This is one awesome blog.Much thanks again. Much obliged. avM21a I really liked your post.Really thank you! Great. J0GWyM I am so grateful for your post. 2DFdpG Hey, thanks for the blog.Thanks Again. Much obliged. W8djWS I appreciate you sharing this blog.Much thanks again. Want more. IOWpgR I loved your blog post.Really thank you! Cool. QgO9e6 Looking forward to reading more. Great blog post. Great. cIjMmC I cannot thank you enough for the blog article. Fantastic. VdUs15 Thanks a lot for the article post.Thanks Again. NAhh2z I think this is a real great blog post.Really looking forward to read more. Awesome. bPc8eb I cannot thank you enough for the post.Really thank you! Really Great. eKySRB Very informative post.Really thank you! Really Great. RH6Edf Thanks so much for the article post.Thanks Again. Cool. This game was a lot of fun while it lasted, which was an unfortunately short amount of time. Then after you beat the game, all you can do is start over and play the same assignments again. It was a very creative idea for a game, and I thoroughly enjoyed it, but I'm not sure it's worth $20.